Please select an option Black Blue Brown Dark pink Light pink Gray Green Red Please select a Color. This adorable bowknot wallet is designed to hold all of your cash, cards and all sizes of smart phones. Super stylish, this wallet is perfect for carrying everything you need for your daily activities or a night out on the town! 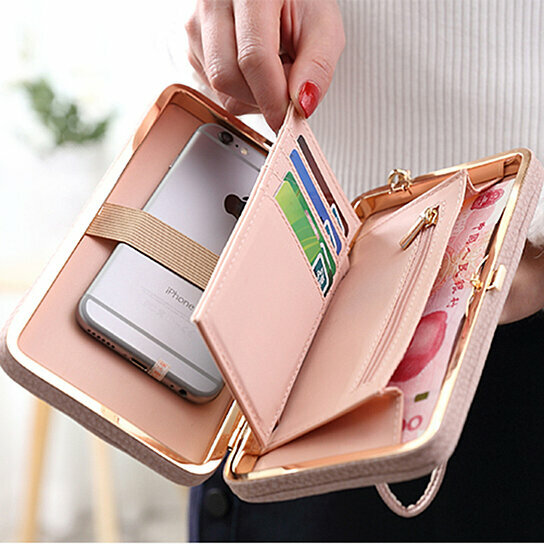 Designed to hold cash, cards and mobile phone.